For most of our guests, breakfast is a special highlight. Breakfast is served either beside the pool or in the garden patio between 8 a.m. and 11 a.m. 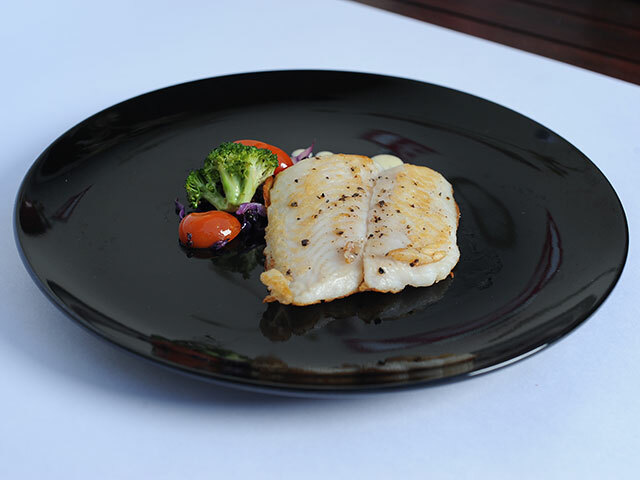 It's cooked fresh for each guest, and served to your table. 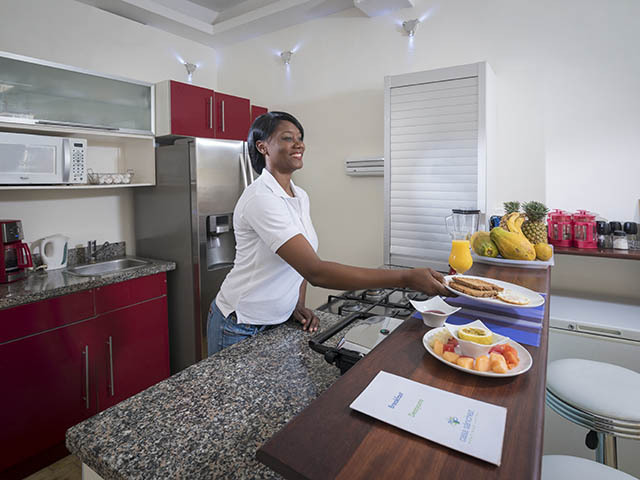 No waiting in line for a buffet, no rubbery eggs or cold food.If you prefer, we can serve breakfast in your room. Breakfast is only included in some rates. If you've booked a rate which doesn't include breakfast, you are able to pay for breakfast in the hotel. If you are vegetarian, vegan, have allergies or require a special diet, this is no problem - please contact us to let us know your requirements before you arrive. If you want a lazy day beside the pool, why not join us for lunch or dinner. 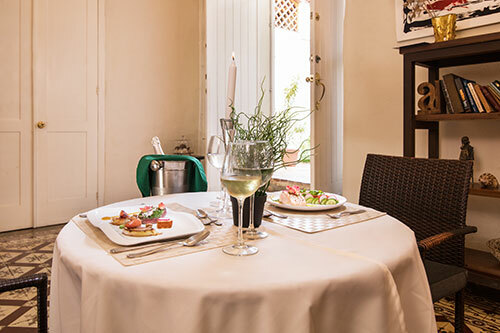 Both can be served in our patio garden restaurant or in your room and we offer a lovely range of international and Dominican fare, along with favourites such as burgers and pizzas. 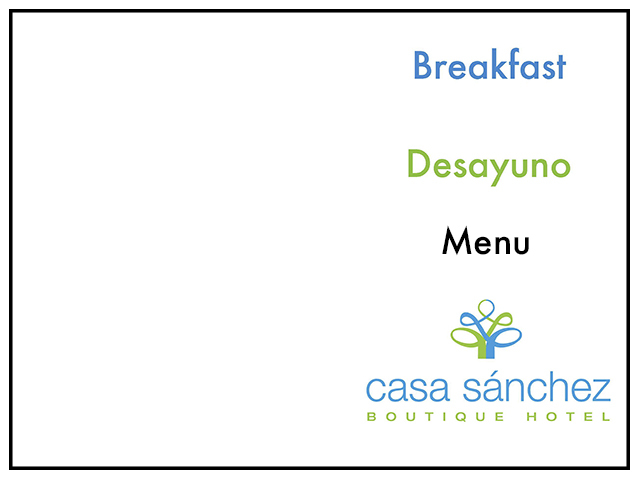 Casa Sanchez offers full room service for breakfast, lunch, dinner or drinks. Room service is available 24 hours a day, 7 days a week. More information is available from the reception or guest information books in the hotel. If you are in a group, or have friends in the local area, we can prepare a private barbecue or a gorgeous Paella for you. These are served in the beautiful rooftop pergola, next to the jacuzzi, so you can have fun and maybe some bubbly in the jacuzzi, then enjoy your barbecue or paella. 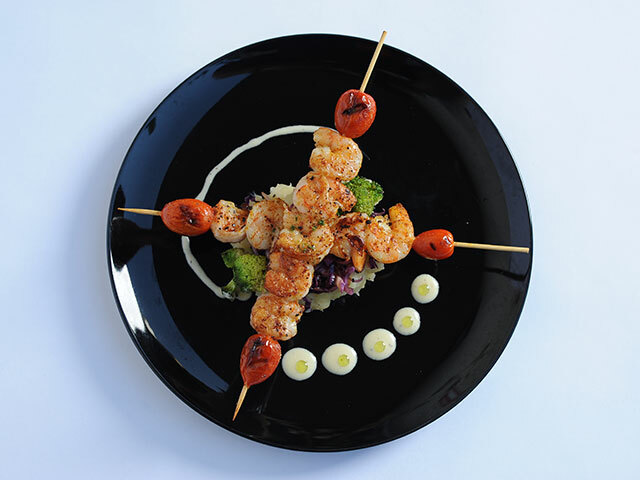 The food is prepared by our Dominican team and includes some tropical and local specials. For more information and prices, please contact us. 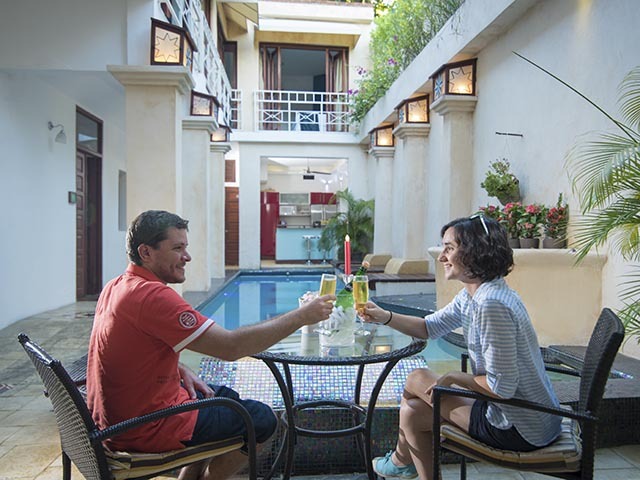 Casa Sánchez is the perfect place to stay for your birthday, honeymoon, anniversary or whatever else you have to celebrate. Our staff will go the extra mile to make sure you have a special day. We can decorate your room with flowers and supply a range of champagne, sparkling wine or cava, as well as provide a special cake or meal. To find out more and prices, please contact us. We operate a bar service and can serve drinks to any part of hotel, including room service. You can also order a mini-bar for your room so that your favourite drinks are ready and waiting in your room as you arrive. Follow this link for more information and to order your mini-bar. 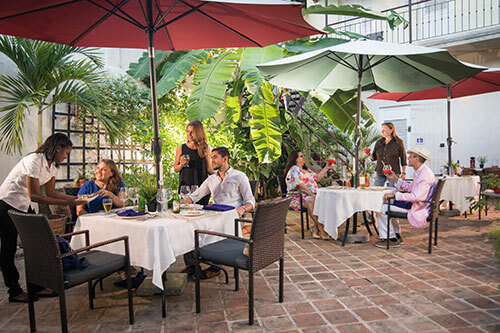 The Colonial Zone is home to almost 100 different restaurants and most of our guests like to eat out at least once during their visit. 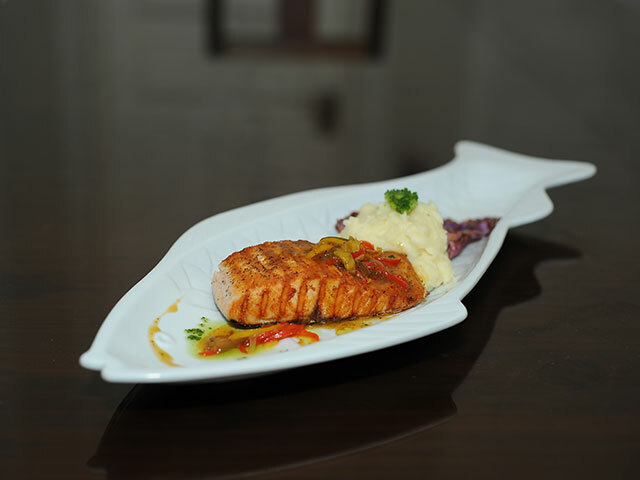 Follow this link for more information on Colonial Zone restaurants that we recommend.